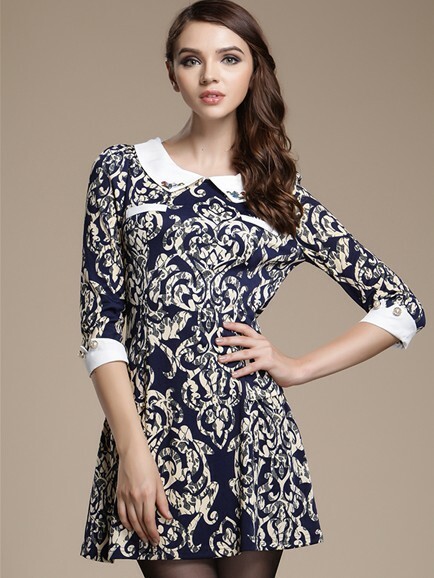 Retro black white print short-sleeved lapel dresses. Fabric soft, thin, with a slight stretch. You can choose other fabric production this dresses.